Take a stroll down Main Street in Newmarket, Ontario, and you will find Story Pod, a peaceful spot where visitors can take or leave a book. Atelier Kastelic Buffey architecture firm designed the structure to stay open during the day and close up tightly at night, illuminated by solar-powered LED lamps. 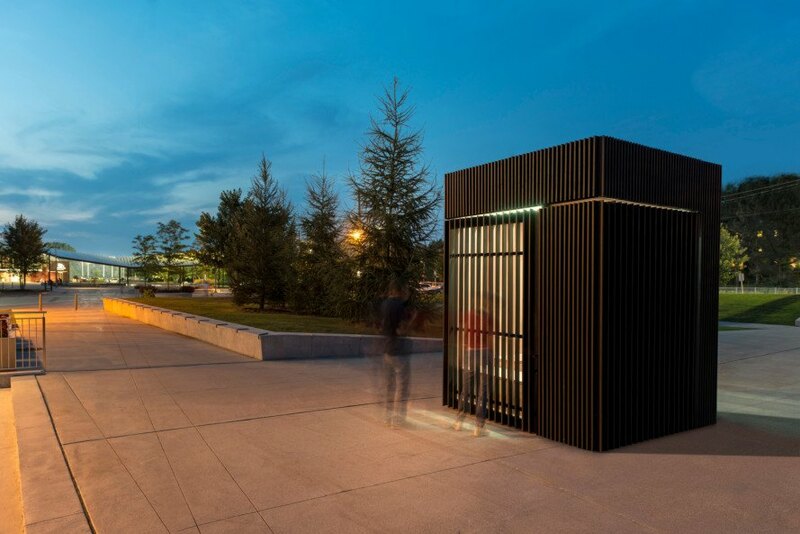 The Story Pod features black vertical slats along its outer walls, creating the impression of a solid structure, yet when passersby get a little closer they can see into the transparent polycarbonate sheet and into the peaceful haven. Benches fold outward with two of the walls and interior shelving provides space for bookworms to take refuge. Visitors from a nearby riverside trail may find the spot both inviting and relaxing. The Story Pod features black vertical slats along its outer walls, creating the impression of a solid structure, yet when passersby get a little closer they can see into the transparent polycarbonate sheet and its peaceful haven. 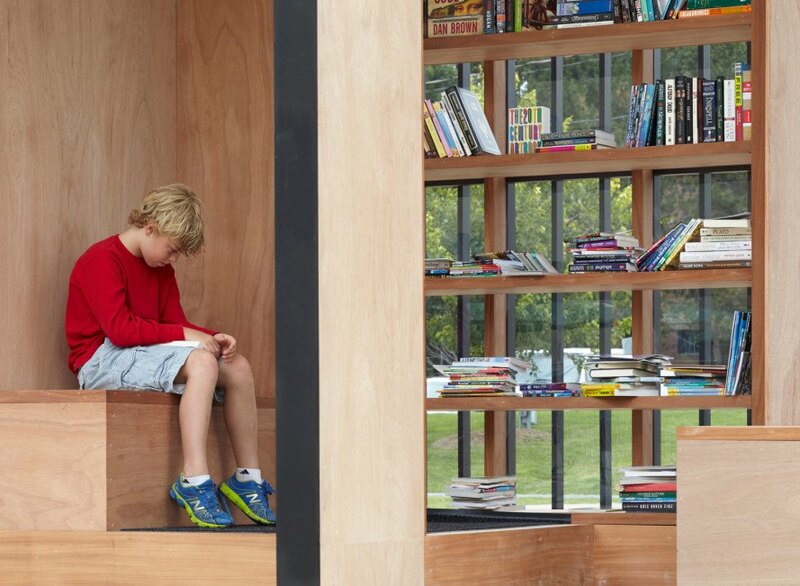 Benches fold outward with two of the walls and interior shelving provides space for bookworms to take refuge. Visitors from a nearby riverside trail may find the spot both inviting and relaxing. At night, the pod locks up and glows with the light of LED bulbs powered by hidden rooftop solar panels. The structure still serves a function for nighttime visitors, providing ambient light for community events after dusk.